Maiden return transatlantic flight of the first Boeing 757 in the Air Contractors fleet. 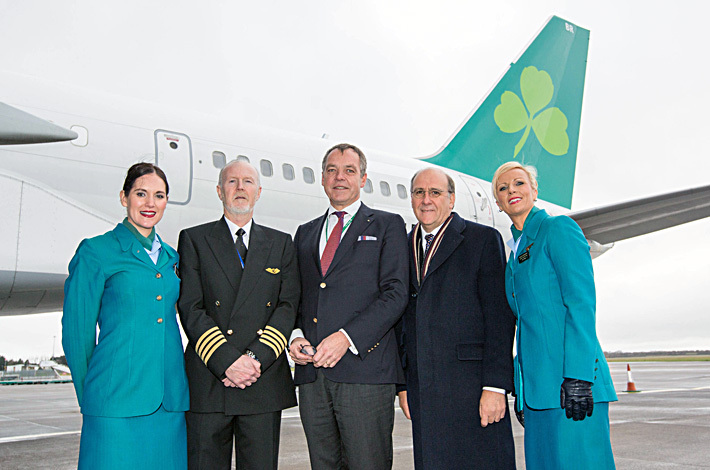 Wednesday 5th February marked the maiden commercial transatlantic flight for Air Contractors when it flew from Shannon airport on the West of Ireland to Boston Massachusetts in the USA, operating on behalf of Aer Lingus. The aircraft, EI-LBR, a Boeing 757, is the first of three that will operate daily from Ireland to the USA and Canada serving Boston, New York and Toronto. It’s a new chapter for Air Contractors as it expands into the longer haul passenger market, building on the European passenger operations for the past four years and over forty years of express freight business. Many months of preparation has seen the company build on its existing skill base and to be awarded the first ETOPS (Extended Twin Engine Operations) certificate in Ireland for over twenty years is a significant achievement.